Calling all you new or pregnant moms! 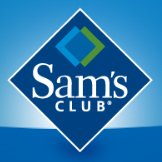 Now through September 29th, you can score a FREE 1 Year Sam’s Club Membership! All you gotta do is call 1-888-746-7726, press #2 then press #4 to speak to a customer service rep and tell them you are calling about the FREE Annual Membership for New Moms. You should be given a code or membership number. If you have any issues, call back and speak to another rep. They are being slammed so wait times may increase rapidly as word spreads about this offer. Spread the word! I called at 8am (when lines first open)and the representative was pretty friendly and said she had no problem assisting me with the New Mom Membership Program. She took my information and provided me with a reference number. You need to call the number at the top of the page. I kept calling finally got through, stayed on hold for 25 min but I did get it! They’re very busy, you just need to call back. Probably really early or really late. I can’t get through to speak to a representative. They have been very busy, you just have to call back. After I follow the prompts, I am disconnected. I did call my local Sam’s and they told me if I brought in a print out or showed them on my phone, they could issue one. Mom with baby 1 year old or younger. I have been trying all morning to get through. I’m expecting my first baby in October. Please contact me about the free annual membership for new moms. It is not a scam. I have already gotten my refrence #. . not to mention it is Sam’s club that you call! I called the store closest to me & she was not sure what I was talking about but then I called the next closest & he said the information just came in his email this morning & it is being honored! I would like a free membership. I can’t call because my kids are always wanting to get on the phone when I am on it. I called my local Sam’s in Alabama and they said they are not running that promotion; it is only in Texas. I called my local Sam’s Club. They said you have to have a green card in the mail or else they don’t honor it. It’s not a scam. I called. Had to wait on hold but got through. It worked for me. I couldn’t get through. Called in the morning the next day and it worked. Then went up to the store and sure enough I got a free membership. The girl who worked at the store said people were calling and asking all day and they didn’t know anything about it or where the promo was coming from. But it works. I have been trying to get through all day and I follow the prompts then I get a busy signal and it hangs up! I am currently pregnant and would like a free membership! you can try early morning before 9 am cst or late evening after 8pm cst…try calling the number from 2 different phone for altest 20-30 times and you will get through…. I got mine…Ready to shop lol. But I had to call like 7 times back to back due to busy lines bu I got through! It’s hell getting through but i called at night and got through. Just picked up my membership card at my Local Sam’s! I called they didn’t give me a number to write down but said I will receive a green card then I have 30 days to redeem it when I receive it!! And also it’s not just Texas the woman told me it’s only for the United states…. If your local store doesn’t do it then something is not right!!! Thank you Sam’s for this great offer sad thing is people who aren’t pregnant or have kids older then 1 they are going to be abusing this offer….. I can I get this deal by signing up online? Is this just first time moms? I have a 5 year old & an almost 1 year old. Every time i try to call it does the tone when a phone is off the hook and then hangs up on me? How do I get it if I can’t get through to a representative? Why in the world do y’all think it’s a scam?? To get the membership, YOU call SAM’S… not the other way around. So we know it’s legit if can get through. I also just checked on the Sam’s club page, and the number listed at the top of this page IS their customer service number. My son is 14 months old does that qualify? You gotta be a mom with a 1 year old or younger but it doesn’t hurt to try! I have been calling for 30 minutes and it’s busy. I got though and they hung up on me. I called and lady didn’t even ask me my childs age. She told me they changed policy and should get a card within in a month. Really i have a 4 month old not only that in ad no where does it say procedures may change. That is false advertising. I am not happy at all. I asked to speak to supervisor and was told i couldn’t cause im not a member. Took a little time, but it worked for me! I called about 8 times before I got through. The first 6 times I got a busy tone. On the 7th, someone picked up and my call got disconnected. On the 8th try I got through to someone. They took down my name, address, phone number and email. They asked for my child’s age, I’m pregnant… I was told I would get a card in the mail that I can go redeem at my local Sam’s Club for the free membership. I called my local Sam’s Club and they gave me the same number listed. Hope it works for you! Just called and all is well. They gave me a reference number, and it’s valid 30 days after November 15th. To all the people stating it’s a scam, stop giving up so easily . We all know you have to work hard for things that are free. I just called and had to wait about 20 mins but they took my info and a voucher for a free year membership will be mailed to me. I take it in to the Sam’s Club and receive my member card! Yes! Plz. Contact me about the new mothers one year membership. Sat on hold for 15 minutes but I finally got signed up for the new moms club! It’s not a scam when you call your local SAMs it states about the new moms club card as soon as it rings through! I tried calling yesterday, sat on hold for 30 minutes and was disconnected. They gave an email to send my info to but I didn’t write it down and today when I tried the message didn’t state the email again. Never could get through, now they say it’s too late. Unless there is a Reference number….RO, do u have one? I called and got through but guess what no reference number was given to me and they took all my info so what’s up with that? I misplaced my reference number. Is there anything else I can do to follow up on my frqee membership card? Thanks in advance. I called 888-746-7726. I talked to one of the representative and she told me that she registered me in the system. she gave me a mailing date of when some papers were going to come to me in the mail. but I never got the papers and I called the 888 number again. then they told me that they had a high value of calls for the membership and they are behind and I will get the papers soon but it is November 9 and I still have not gotten any papers. I don’t know what to do at this time, because I am 8 months pregnant right now and this membership would be very helpful to me and my family. I am having the same problem. I’m 3 weeks from my due date and I called the other day and they told me they had no record of my ever contacting them in the first place. I was being so patient and waiting because I knew it would be a wait with the high volume of people calling in but 2 months is ridiculous.